Although your herbivorous reptile's diet may look natural, this doesn't always mean that it is balanced, and can often lack vital components like calcium, but you can use Komodo Calcium Supplement for herbivores to ensure they get the level of nutrition they need. Dusted onto your reptile's fruit, veg or pellets, it gives your reptile a healthy dose of vitamins and minerals that are likely to be missing or incomplete within their diet, as well as a big dose of calcium. 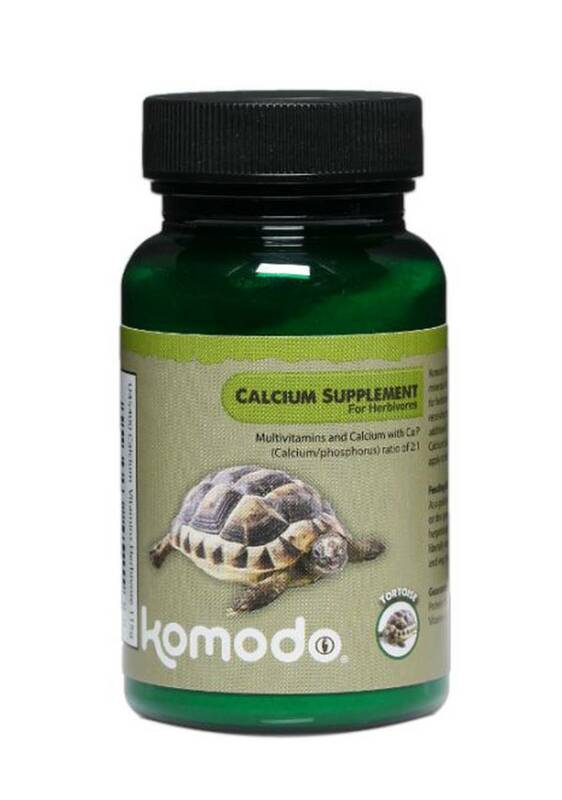 This is because calcium has special significance in reptile diets - without it (and the Vitamin D3 used to absorb it, usually gained for UV light) your reptile cannot develop a healthy bone structure, which can lead to a range of medical problems and even death.